In addition to Terraseeding, King Hydroseeding is skilled in the installation of shredded mulch, granulars and wood fibre for playgrounds. 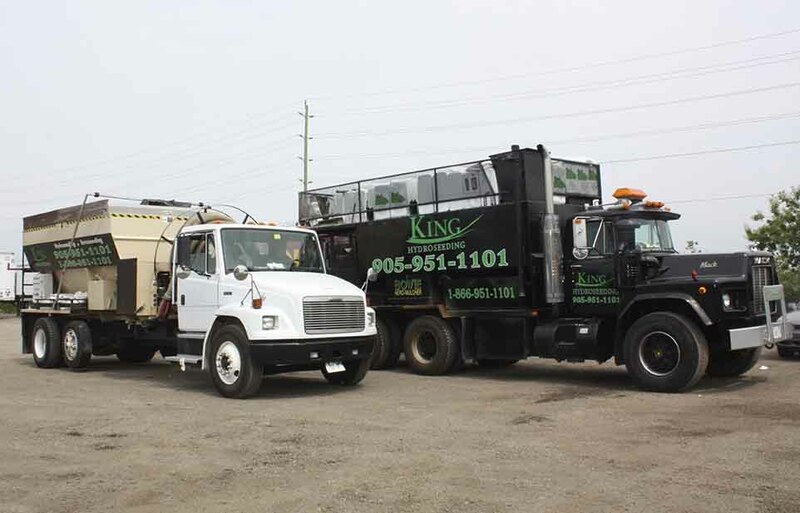 Our fleet of blower trucks includes smaller vehicles for tight areas and larger trucks capable of blowing on to rooftops and areas that require greater blowing capacity. Call us to discuss the parameters of your project and we'll help you come up with the best blower truck application to get the job done.